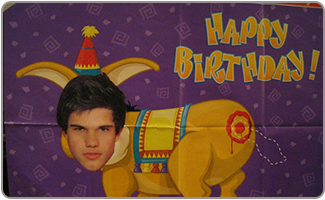 A Twilight birthday party is a great choice for a tween celebrating a birthday. 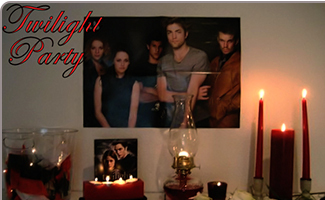 We have a number of great Twilight birthday party ideas in India that are sure to make this a party that even Edward and Bella will remember for years to come. The great thing about a Twilight birthday party is that it can be hosted during the day or at night, without fear of your little vamps needing to hide from the sun. If the party is for kids who are over the age of ten, though, it could lend an eerie air to the party to host it in the evening hours. 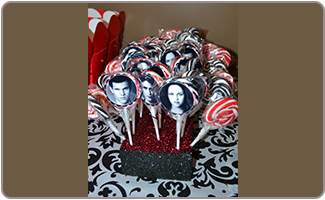 Encourage the guests to come dressed up as their favorite Twilight characters. Keeping a bottle of shimmering lotion on hand for when the guests arrive will ensure that all of the guests sparkle radiantly like their favorite vamps. 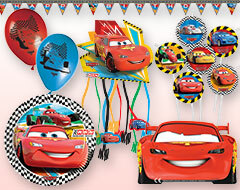 Plan the party as far in advance as your schedule allows. 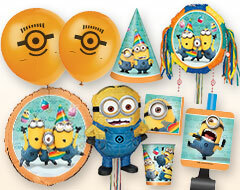 This will ensure that you are able to get in all of your Twilight birthday party supplies with plenty of time to spare, and will also allow everyone to make plans for attending the party. There are many scenes from the Twilight movies that will give you some good ideas for the party, including hosting it outdoors with a pretty gazebo and dance floor set up. If your birthday guest of honor plans on inviting a lot of guests then consider hosting the party at a local dance hall or the YMCA to give everyone plenty of room to mingle, dance, and generally have a good time. Prepackaged Twilight birthday party invitations will set the tone for the party and save you some time if you are in a time crunch. Simplicity and elegance, with a touch of drama are the themes for Twilight, so some Twilight birthday party ideas for the invitations could include black cardstock, elegant white paper that contains the party details, and a bit of glue. For a creative touch, outline a crescent moon with a marker pen and cover the inside of the moon with glue. Add a bit of glitter to the invitation. Creating a simple cardstock frame for the invitation out of maroon or another dramatic color will add the drama that you are looking for. Using a silver or gold toned pen you can create elegant scroll work along the edges of the cardstock. Include text on the invitation that is relevant to the book and movie series, including things like "Are you Team Edward or Team Jacob? Join sides and celebrate with us!" and "Don't let the werewolf bite!" Take inspiration from the book covers by including a chessboard or red apples. A full moon is also a great choice. 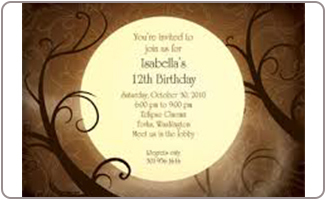 A few Twilight themed stickers and die-cuts can also help you to create elegant invitations that are on theme. Bobbing for apples in water that is tinted with red food coloring can be a lot of fun for all, especially if everyone wears a pair of plastic vampire teeth to do so. A Twilight themed trivia games to see which of the party guests know the most about their favorite books and movies can get them all animated and excited. 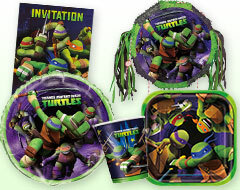 Some other Twilight birthday party ideas include having the party as a costume party, with prizes given to those who have the most authentic looking costumes or the most original costumes. Vampires and Werewolves have a highly tuned sense of smell so it can be fun to play games that test the guest's sense of smell, taste, and agility. Twister is a game that will see just how flexible everyone really is, while blindfolding and having guests try to identify different things by smell and taste alone can test their other senses. A fun game of pin the tail on the werewolf can provide a lot of giggles for all. 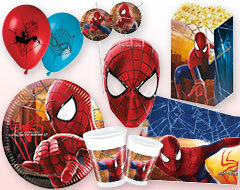 If some of the guests will be sleeping over then a pajama movie night can be a lot of fun for the girls. Dark shades of lipstick and lip gloss, along with mascara will enchant. Bracelets like the one Jacob presented to Bella, with a wolf charm on it, make a classy return gift. Sunglasses and glitter paint or body lotion will let your young vamps sparkle in the sunlight. Visit one of the many online t-shirt printing companies and have shirts printed up with fun phrases on them like "I lost my heart in Forks!" or "My other boyfriend is a werewolf." Other beaded jewelry choices can add a fun bit of sparkle to the return gift gift bags. Vibrant red candy, including candied vampire teeth, can appeal to those with a sweet tooth. 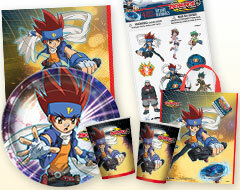 You can also easily find theme candies; they are inexpensive and are a great option. When hosting a Twilight birthday party, the most obvious choice for a drink should be maroon colored punch or alcohol-free wine. Serve it with plastic wine or champagne flutes for a little bit of an extra elegant touch. 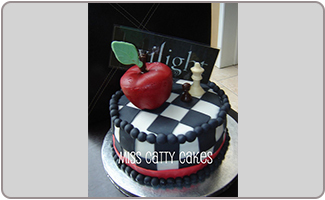 Some Twilight party ideas for the birthday cake could include a sheet cake that contains the images of Bella and her two gentle men, or cake toppers like red apple, chess piece etc. that fit in nicely with the theme. 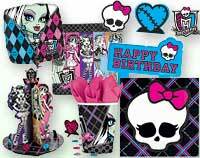 Popular choices for Twilight birthday cakes also include black heart-shaped cakes or cupcakes that contain maroon frosting that is reminiscent of blood. Bright red apples and other fresh fruit will be just the thing for your young vamps to keep their healthy best. Twilight birthday party ideas for food include serving up pasta with bright red marinara sauce or consider elegant appetizers so that the party takes on a much more grown-up feel. Sushi is another trendy choice. Sugar cookies in the shape of moons, stars, wolves, and hearts are a great addition to the party table. Consider frosting them with either an E or a J so that party guests can make it know which team they are on! Some Twilight party ideas for party decorations include a selection of black, white, maroon latex balloons with a mix of twilight light up balloons. Pair the latex balloons with Twilight themed Mylar balloons that could include black hearts, crescent moons, or images of the stars of the movies. 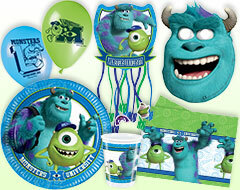 Cover the party tables with elegant table cloths, or with themed table cloths that match the other decorations. Create pretty centerpieces for the tables by using bits and pieces from the books and movies, like miniature replicas of Bella's truck or of a plush werewolf. To keep it elegant you could stick to blood red roses and perhaps a few chocolates as the centerpieces. 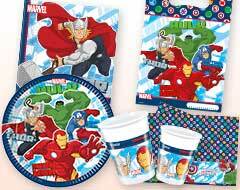 Coordinate the place settings with Twilight birthday party supplies that include paper plates, napkins, cups, and even black utensils. Cover the chairs with black tulle in order to add a touch more elegance to the party. 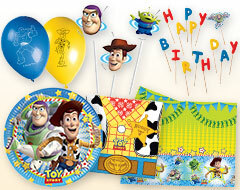 Drape a birthday banner in the doorway, and string streamers around light fixtures and from ceiling fans. 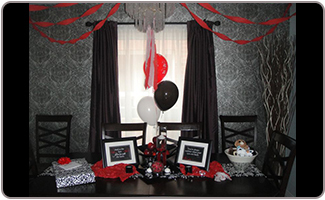 You can also stick to solid color black or red decorations or catchy mix of both will also keep the theme alive.